Welcome to Walden Hills cabin rentals in Pigeon Forge, Tennessee. This secluded community of cabins is the best way to experience the true calming serenity of the surrounding nature and forestry of Pigeon Forge! These luxurious log homes feature full kitchens as well as a washer and dryer in each unit. Many of the cabins also feature pool tables and outdoor hot tubs. Recline on the large outdoor decks and soak in the beauty of the surrounding forestry without ever leaving your cabin! Pigeon Forge, Tennessee features countless amazing vacation activities for guests of all ages to participate in. Hit the links and enjoy a round of eighteen at one of the local golf courses. Head into town and check out amazing boutique shopping and countless museums. We at SMBYO.com highly recommend visiting the breathtaking Titanic Museum. The full-scale model of the famous ship is a great place to learn more about the famous voyage and re-enact your favorite scenes from the movie! Guests looking to enjoy the gorgeous scenery of the area should visit either Smoky Mountain National Park or some of the other state and local parks in the area. The parks feature various spellbinding hiking trails leading deep in the forest. The trails also feature overlooks offering unbridled nature views! 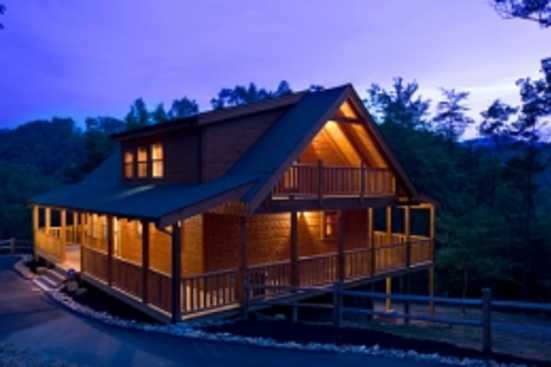 Book Walden Hills log cabins in Pigeon Forge, Tennessee directly with the property owner. Book with the owner to avoid pointless fees and to receive the best possible rental price!